This drink is packed with so many health benefits and still tastes amazing! If you aren't familiar with kombucha, here's a quick definition. Kombucha is a fermented sweetened black or green tea drink with supposed health benefits and an alcohol content of less than 0.5 percent. I just recently found myself addicted to this power drink not too long ago and decided to do a little research after trying it for the first time. I was shocked to find out that there were so many health benefits that came with drinking this tea. Probiotics are key for a healthy gut. The term "bacteria" may sound a little scary at first, but there is such a thing as good bacteria. These help your health and can aid with weight loss, inflammation and digestion. I feel like I hear the word "antioxidant" all the time, but I never really knew what it meant for a while. Antioxidants protect against free radicals. These can be extremely harmful to your cells, and they are everywhere. Antioxidants keep your immune system in mind, and they can come in forms such as Vitamin A or E. They also should be received directly from food or beverages, not supplements. Lucky for you, kombucha is packed with antioxidants. Drinking kombucha could improve your heart risk factors and increase the odds of full recovery from a heart attack. This is probably my favorite health benefit that kombucha has, mainly because of America's growing obesity rate, which leads to an increase in heart issues. Heart disease is currently the number one cause of death for women around the world, so I think it is great that kombucha can be so beneficial for heart health. Recent studies have shown that kombucha can slow down the digestion of carbs, which reduces blood sugar levels. 300 million people are currently affected by this chronic disease, so kombucha could be extremely beneficial to all of those sufferers. I also found it interesting that those who drink green tea have an 18 percent less chance of becoming diabetic, and since kombucha may contain green tea, it's a win-win. The typical serving of kombucha can contain an average amount of just 30 calories. This is way less than that can of soda. You can find kombucha in a wide range of flavors, from ginger to watermelon. My favorite right now is green apple. There are also several brands of kombucha and different-sized bottles for your convenience. So, what are you waiting for? Head to the grocery store and pick up some bottles of this miraculous beverage! Discover natural ways to soothe those sore throats, upset stomachs, calm your nerves and much more! There's an herb for nearly everything, and they've been used for thousands of years. Drinking herbal tea is probably one of the easiest (and enjoyable) ways to get natural vitamins, minerals, enzymes, and other health benefits!! I'm not here to tell you that any herbal tea or herbal supplement is going to cure any certain disease, however, they do nourish and help replenish the body of the nutrients it needs to heal and cleanse itself of any impurities. In simpler terms, herbs are a support system for the natural healing of our bodies. As someone who struggles with depression and anxiety, I've always searched for natural ways to ease my worries and calm my mind. After a couple of years of my fascination, researching, and testing herbal tea remedies; I've narrowed it down to my 4 favorite herbal tea remedies. Some of them may sound a bit crazy--just stay with me here. I'll go ahead and start with one of the craziest herbal teas that I never thought would work until I tried it myself. As it turns out, Catnip is kryptonite to cats, but a mild sedative with tons of medicinal uses to humans. This tea contains vitamins A, B and C; and a specific compound that has been proven to help with stress and anxiety. Catnip is also antibacterial and anti-inflammatory. Since it is an anti-inflammatory, catnip can be helpful in treating acid reflux, sore muscles, and cramps (I'm talking to you, ladies). 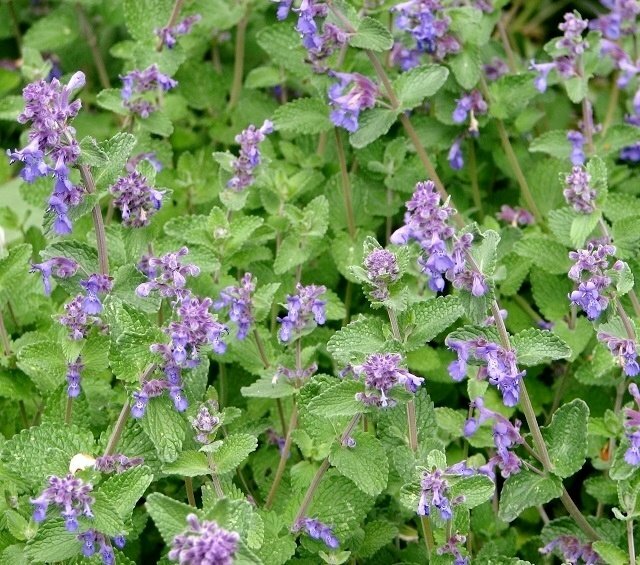 Try making a cup of catnip tea after a stressful day to relieve stress and calm your nerves. I'm telling you, it works. You can feel the calming effects before you've finished your cup. Thats right! 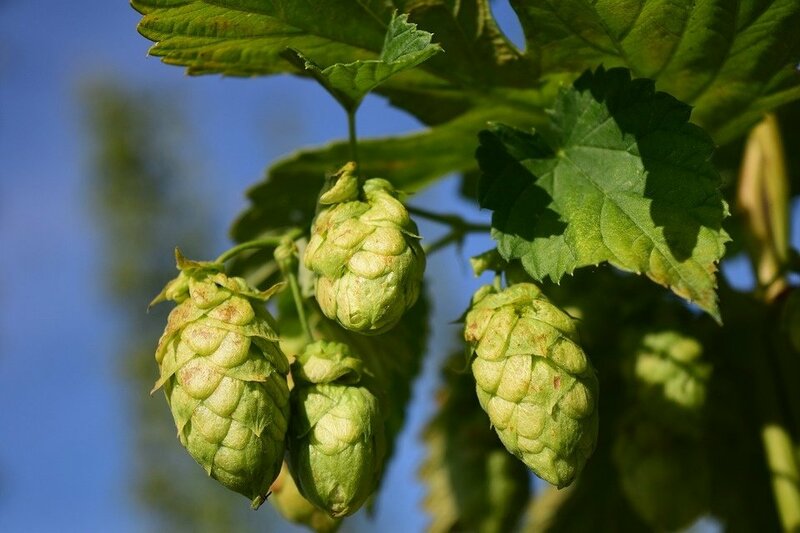 Hops aren't just used for making beer! 1. Gets rid of uninvited toxins/detox in your body. 2. Boosts your immune system. 4. Strengthens your nervous system. 5. Keeps skin naturally clean and healthy (when applied to the face). It may take a bit longer to prepare, but Hops tea is perfect for a day that has left you feeling anxious and stressed! Hops are called "the goodnight flowers"; so try preparing Hops tea before bed to help you sleep. And if you feel like being a little extra--take the teabag out of your mug once it's done steeping and squeeze out the remaining tea to use as a face wash! Ginger has been used for it's health benefits way before the medicine of today was even thought about. We can thank the ancient Indians and Chinese for the first cultivation of this powerful superfood. Scientific studies have found this warming, anti-inflammatory tea to be useful in treating nausea, bloating, sore throats, colds, and the flu! Ginger tea is packed with vitamins C, and B6, as well as magnesium and potassium. The antioxidants and vitamin C in this particularly potent preparation help to boost your immune system. If you begin feeling like you're coming down with a cold, grab some ginger tea! 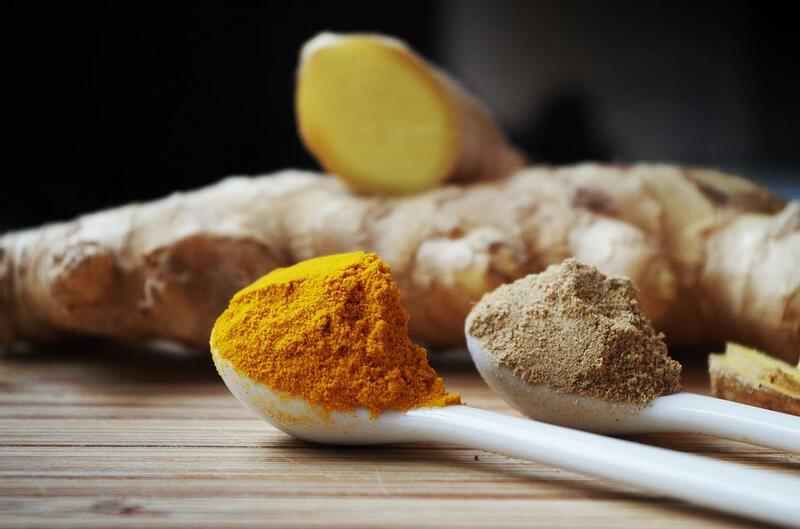 Even if you're not feeling sick, start your morning with a cup of Ginger tea to get your blood and energy flowing! You should consult with your doctor before consuming ginger tea while pregnant. I saved the best my favorite for last. Chamomile. What can I say about Chamomile? Honestly, there's too much. She's my personal favorite and go-to. It's mild sedative properties have rarely failed to calm my anxieties and stress. Chamomile tea isn't just for sleep, though! 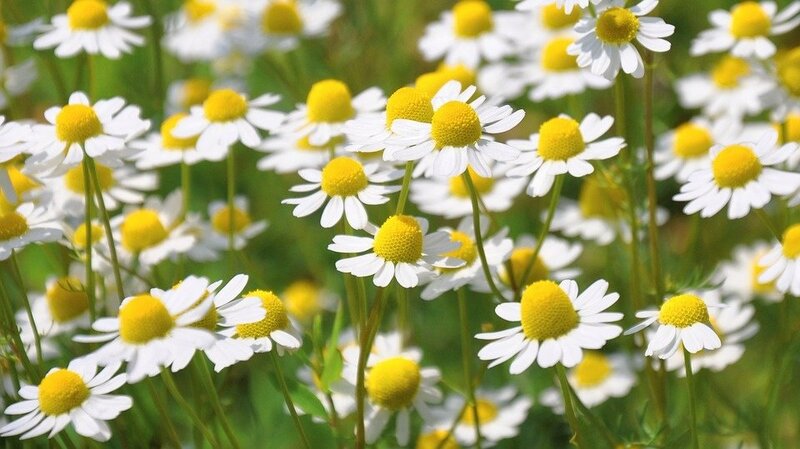 This amazing little daisy is also associated with lower cancer diagnosis's. Lavender has always been a favorite of mine, but only as a scent, I had never thought of lavender as a tea. So I did some research. It turns out, Lavender's active components and soothing effect make it a perfect tea addition for people suffering from chronic stress and anxiety. On top of that, essential oils and minerals that diffuse from the lavender buds have proven to help bloating, and cramps. Tired skin? Lavender has antioxidants for that. Both of these herbs come together in perfect harmony to relax you before bed, calm your nerves, and settle your stomach.As a bonus, chamomile and lavender are both anti inflammatory; making this combo not only a tea, but (when applied to the face) a redness reducer! If you're not too fond of the bitterness of some herbal teas, just add some honey!!! Go the extra mile and find some local honey at your next farmers market! If the honey isn't sweet enough for you. If you just can't stand herbal tea... That's okay! There are plenty of herbal supplements that you can find at your local pharmacy or amazon.com. Disposable tea bags and store-bought teas are convenient when you're on the go...... but not so convenient for the environment. Try opting for an environmentally friendly, fair trade, loose-leaf tea, and a tea diffuser to reduce the amount of waste in landfills! You can even place the used tea leaves (and even tea bags) at the bottom of your flower pots to give your plants some extra nutrients!! There is too much information on these super-herbs....(get it?) to fit into this article. If you'd like to learn more about herbal remedies and benefits, you can click on the hyperlinks throughout this article!